Judy & the Loadies were Judith Denery (née Krauch), John Denery, Jess Hilliard, and Christopher Imlay. They were a underground band in the early 1990's on Lookout Records. 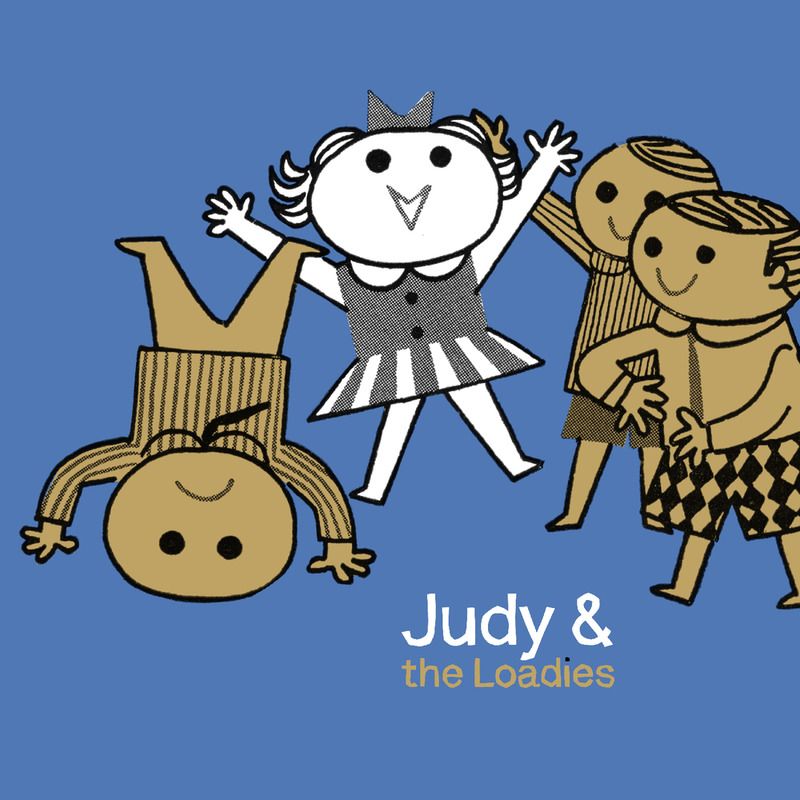 Active from about 1990 to 1993, Judy & the Loadies was intended to be a "side project" that ended up being some of the best work any of us did. For some reason they always wanted us to play art openings. Judy: Judith Denery (née Krauch). The Loadies: John Denery, Jess Hilliard & Chris Imlay. The Judy & the Loadies side of the "Gift of Knowledge" split CD on Lookout! Records (LK #78). Included here is the original 16 tracks, plus one extra song. Originally recorded and mixed in 1990 by Chris on 1/4" 8-track reel to reel, at "The Couch," 949 I Street, Arcata, California. "I Like It Cheap" was recorded in 1993, after a hiatus when John Denery had moved back the Bay Area from Arcata after graduating. It has thirteen previously unreleased songs, three of which would later show up on The Hi-Fives "Welcome To My Mind" LP. Also recorded at "The Couch" by Chris onto 1/4" 8-track reel-to-reels. Recorded at "The Couch" by Chris onto 1/4" 2-track reel-to-reels. My memories on the Loadies’ origins: my thoughts are scattered and probably, as usual, inaccurate. But I recall John having the idea to start a marching band, which I was really excited about because I played trombone. But that never developed, and then he had the idea of me and him playing music in a “street band” in Eureka, and any town we happened to be in. We did that for about a few months, eventually getting kicked out of the new Eureka mall for drinking and playing music there. Then we taught ourselves the “peanut dance” to a song I had on a birthday album I’d received for my fourth birthday. Then, John, me, Judy and Chris made a song out of a short kid’s book called “Run Rabbit Run,” followed by the brief existence of the “WWI Revival Band,” and then I moved into my trailer where John and I began writing actual Loadie’s songs, and John told me what a “loadie” was. Which made me think of that early 80s song “Total Eclipse of the Heart” but in my mind I heard “I Totally Tripped in the Park,” due to your definition of a “loadie.” Then my mind fast forwards to us four doing a series of art shows in which Al Sobrante supplied us with brass monkey, and he would sometimes dance around holding a T.V. set. Then everything sort of culminated with the recordings by Chris, and that guy from the Leftovers, and then that super weird show for the mayor of Benicia. And I’m sure I’m wrong, but maybe there was a stripper in San Jose who stripped to a recording of “Soap Soap Soap.” Or it coulda been Brent’s T.V.’s “Bright Lights.” I’m not sure. It seems like John and I created a lot of funny “missions” for ourselves in preparation for writing Loadies songs. 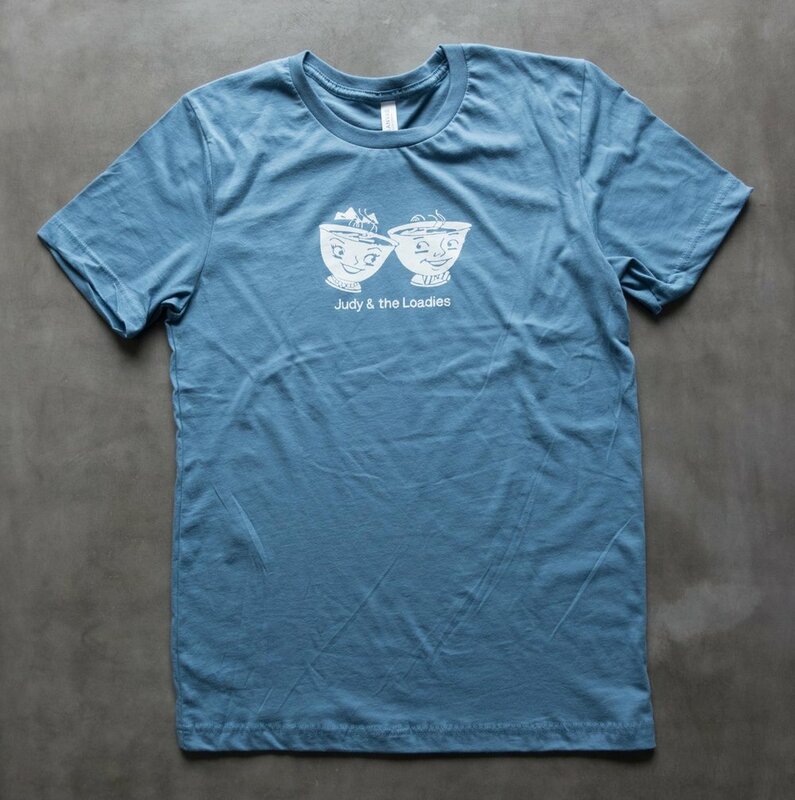 Like going to various parties, pretending to only speak Spanish, and expanding upon that old civil disobedience book in very mis-informed ways, and that time we scrounged all that wet change from the abandoned San Jose mall and bought beer at the bowling alley with it. It seems when we bought those beautiful suits and white shoes, it all totally gelled. As I recall, Judy had a friend Catharine who really wanted to sing in a band but was rather shy and wasn’t sure how to go about doing it. At this time, Brent’s T.V. and The Dukes of Burl were no more, and Judy knew I would enjoy writing songs and creating a new band for Catharine. I talked to Jess about this mission, and we started working on songs for the Love Warriors, a band created for Catharine to sing in. Judy would attend the practices as well with her knitting supplies. Jess and I figured Catharine made sure Judy promised to be at the practices. 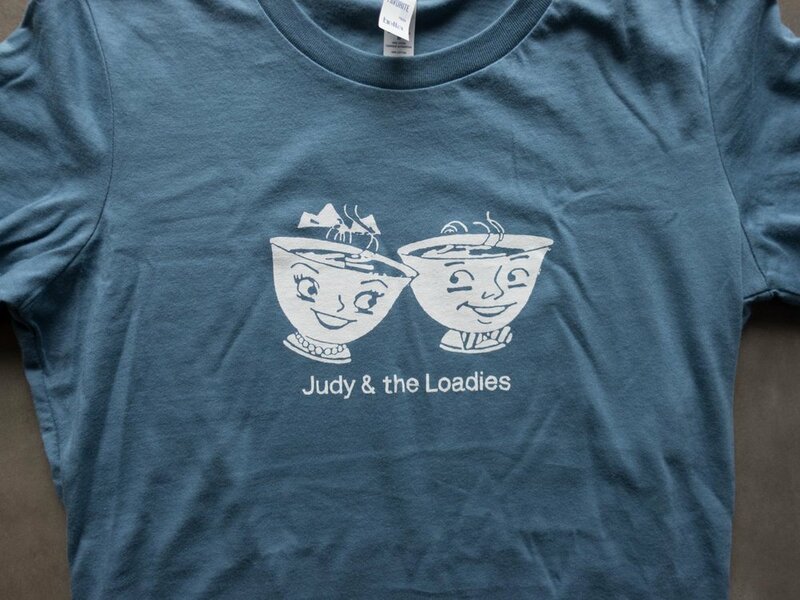 Our first show was at the Jambalaya, Catharine insisted Judy be on stage with us so there was Judy knitting like she always did, Chris on drums, Jess on trombone, I was on guitar and Catharine was the singer. I thought the first show went fantastic but that was the last time we saw Catharine at a Love Warriors practice or show. We continued to write new songs and play art openings, and Judy continued to knit and took up Catharine’s singing duties. It was at this point we changed the band name to Judy & the Loadies. The first show. 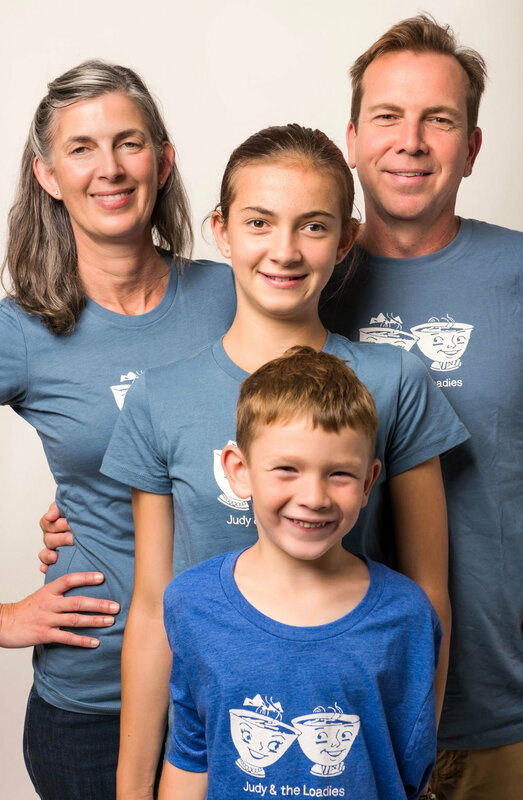 Pictured from left to right: Catharine, Judy, John, Jess. Not pictured to the right of the kick drum: Chris. 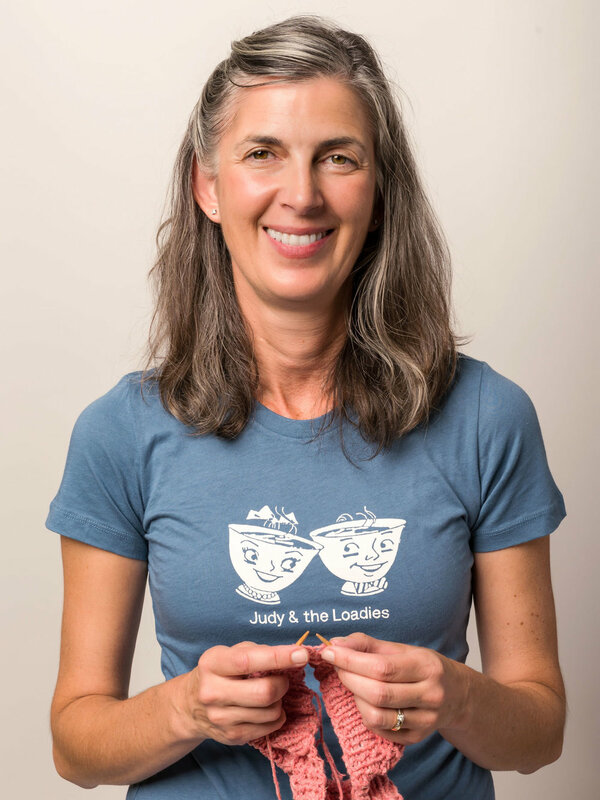 According to Judy: Catharine had two roles to play in Judy and the Loadies being Judy and the Loadies, including being the nexus of its formation. First, since Catharine and I met in junior high school, she always just called me Judy like all my before high school friends (I only started going by Judith, when I started high school after discovering my real name on my birth certificate when I ordered it to get a social security number in 8th grade). Instantaneously after meeting Catharine when she came to visit and hearing her call me Judy, John and Chris started calling me Judy, Judy-wudy, and a bunch of other Judy infused cute-as-can-be name combinations. And there was no going back. Second, when Catharine came to Arcata for a year of school, we got to spend a lot more time together, picking up our middle/high school friendship activities- taking long walks and hanging out in cafes knitting, studying, and drinking coffee. Catharine liked to sing and told me she wanted to be in a band. I asked John and Jess what they thought about forming a band with Catharine. As with most any idea any of us had at that time- they were totally open to finding out more and seeing what would happen. We arranged for a first practice. It was outside at night somewhere - I recall railroad tracks, Jess's trailer and not being sure when it was time for me to go and just leave them to practice. I can't remember exactly why I stayed, Catharine was nervous? John and Jess's songs were so fun and it was just like any other day of hanging out with them while they'd sing and I'd knit just to pass the time? But I stayed and since they were breaking the songs down for Catharine I learned them too. After that there were a couple more practices that for some reason I was still a part of and then a real show and with Chris drumming it was a real band. Some things are murky in my memories from that time and somethings are as clear as can be. I clearly remember this terrible sense of nervousness and the insides of my body turning upside down just before our first show, What if I forget the words? What if I slip a stitch while on stage? but then somehow managing through... I have no other memories of the show except for finally being outside of the Jambalya out of breath with this elated feeling that it was over and it was just as fun as practices were....Between then and the next show I can't remember exactly what transpired. I'm pretty certain that Catharine just wasn't as excited to be in the band as she thought she'd be and John and Chris and Jess kept playing and I kept knitting because that is just what we did.